If you make your website more user-friendly for seniors, you'll also happen to be giving Millennials what they want too. Bankers have unwittingly erected barriers preventing seniors from fully utilizing mobile and online banking services. Seniors, defined as those 65 years of age and older, find websites 43% harder to navigate than younger or middle-aged typical customers, according to a study by Nielsen Norman. The success rate for completing online tasks is typically a third less for those over 65 years of age as those under 55. Assignments taking seniors 7:43 minutes to complete are finished by younger users in 5:28 minutes. Researchers speculate that predominantly younger web designers don’t adjust for the more limited dexterity, cognitive and visual acuity of older adults. In addition, senior needs are often overlooked in the dogged pursuit of shiny, tech-savvy Millennials. Seniors approach technology and website navigation with a different attitude than younger populations. They get discouraged more frequently and give up at almost twice the rate of Millennials. When older users failed on their first attempt, many are reluctant to try alternate paths. Younger users, however, were twice as likely to try more and different methods — such as site search, contextual help, or online chat — to find answers to their questions or to complete a task. Half of all seniors report difficulties remembering instructions or a location where they had to return. Almost half said they keep a list of steps and instructions for visiting their most frequently-used sites. Overall, the senior error rate for a set of tasks is typically double that of the younger population. The disparity in online banking adoption rates is illustrated in a 2016 study from the Federal Reserve which found that only 18% of seniors utilize mobile banking services compared to 67% of Millennials. In recent years, the gap has widened as young people purchase smartphones at a faster clip, and seniors stick with personal services available through branches. In many ways, seniors have become the last frontier in internet banking. Every other age segment is online in vast numbers. Banks should consider giving their online and mobile sites a facelift if they want to realize the significant profit potential older generations represent. Redesigning a website to give seniors the same user experience quality as younger users, could easily result in a 35% lift in more business. In five years, close to 50% of the U.S. adult population will be 50 and older… and they’ll control 70% of the country’s disposable income. A focus on older consumers and age-appropriate web and mobile site design may be the optimum growth strategy for many community banks. 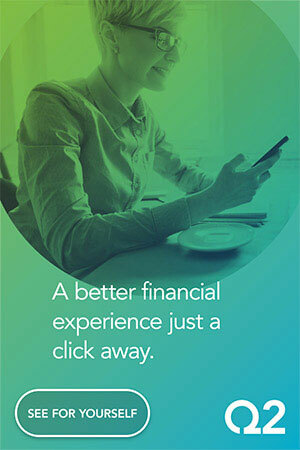 Coincidentally, many of the things you can do to improve the digital banking UX for seniors will also improve the experience for Millennials (and other generational segments). After all, what we are talking about here is ultimately about simplification — making your site intuitive, easy to use, with a basic visual interface.